Discovered in 1985 at Santa Rita in Corozal, this jadeite death mask is a rare and spectacular find. Other such masks have been found at sites such as Tikal, Palenque and Calakmul. 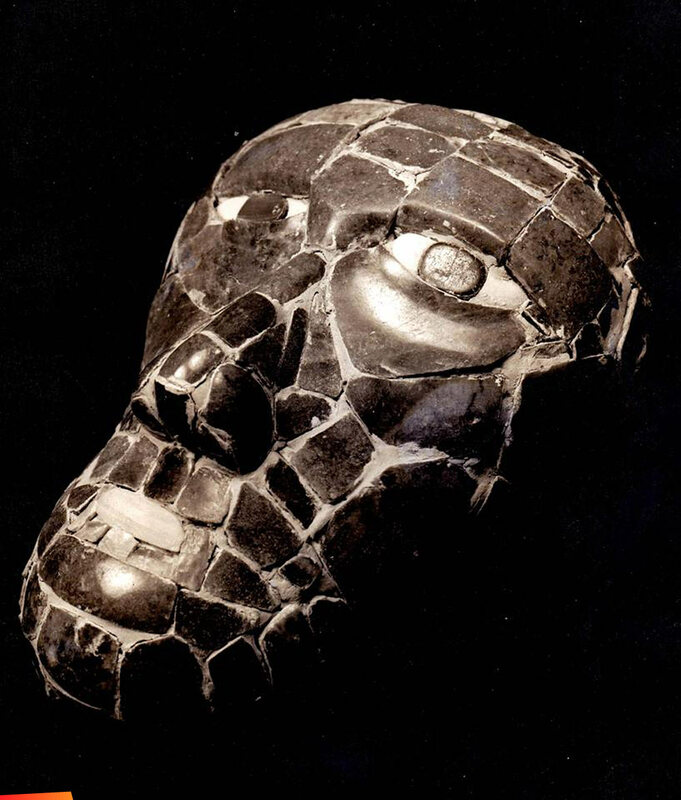 The mouth is composed of shell and the eyes were made of shell with black stones for the pupils.